The Rutland Herald was the leading newspaper in Rutland and the surrounding area at the start of the Civil War, and initiated its daily edition in 1861, in order to provide expanded war coverage. This expansion necessitated that new quarters be acquired. The Tuttle Building (the Herald was owned by the Tuttle family) was completed in 1865, in time to report on the historic events of the end of the war and its aftermath, and post-war life in Rutland and the nation. The original building burned in the devastating 1906 fire, and was rebuilt by the Tuttle family. 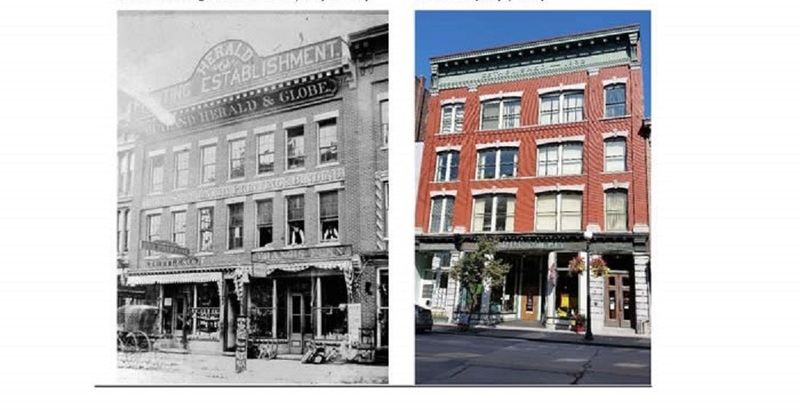 The appearance of the building is much the same as it was in 1865.